The Aspen tree's were quickly shedding their leaves as a light snow coated the floor of this Aspen grove in Rocky Mountain National Park. 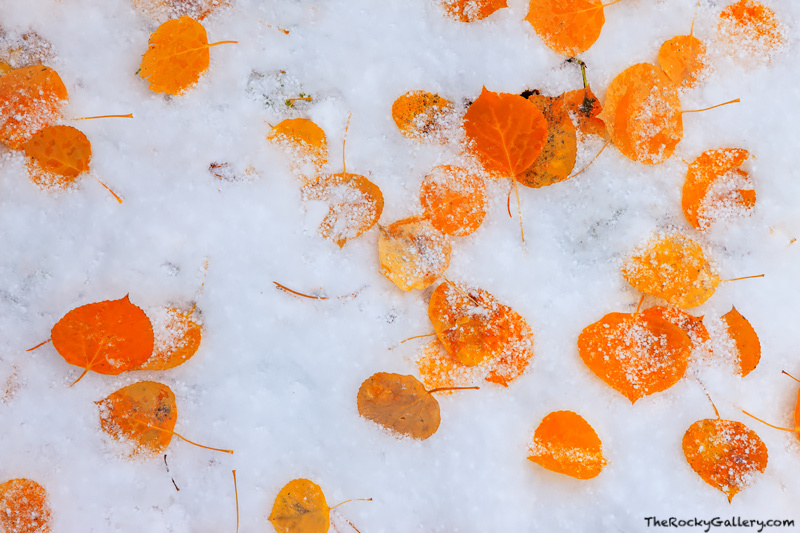 Seaons often overlap in Colorado, and the Autumn season is no exception. When the first snows arrive in RMNP, there is only a short window before the changing fall Aspen leaves turn from yellow and red to brown. Photo © copyright by Thomas Mangan.